Now you may find the 2016 SAC results and statistics in this booklet, ready for download and print – or simply read on-screen. 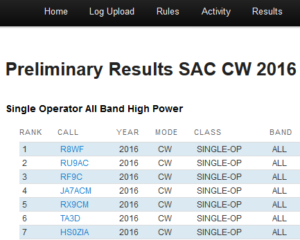 The SAC 2016 SSB preliminary results are ready. Please check your score and UBN file! If you find that something is wrong with either one, please e-mail us: support@sactest.net. 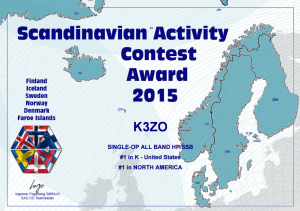 After a few days from now, we will make the scores final for both CW and SSB, together with a list of plaque winners. 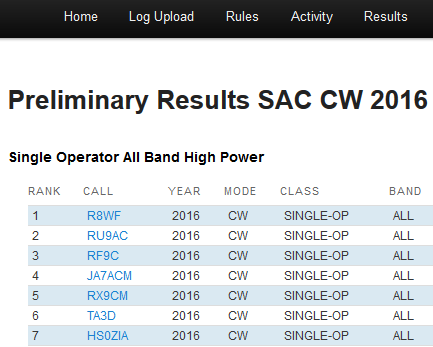 The SAC 2016 CW preliminary results are ready. Please check your score and UBN file! If you find that something is wrong with either one, please e-mail us: support@sactest.net. After a few days from now, we will make the score final and add a list of plaque winners.